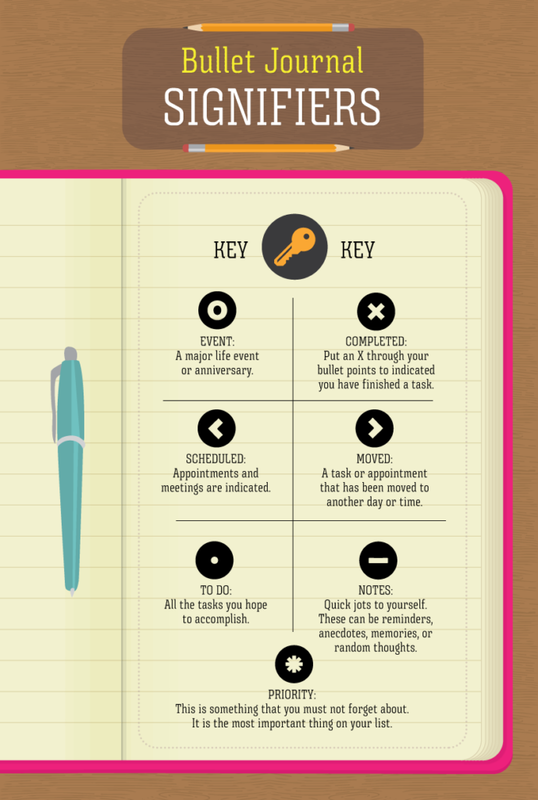 In journal entry writing, the length and the topic of what you are going to write are solely under your discretion. Aside from that, it is a very effective method where you will be able to express whatever thoughts that are running inside your head and additionally, your freedom to write whatever you want to write are limitless. You can basically write anything on your journal entry aside from the usual recording of what happened in your day, and this may include your to-do lists, hopes, dreams, secrets, failures, love, loss, and anything and everything your roller coaster of a life could offer. With all of the things you want to include in your journal, you might get to a point wherein writing every single one of your thoughts is already a taxing thing to do. And if there is one thing that could make journal writing easier but still as effective as a typical journal entry, you might probably adapt to it. Lucky you because there really is an easier way to write your journal entry and that is through bullet journaling. One of the great things that journal entries could do is that it offers you a clean and blank canvas every time you would decide to log or record the events that happened in your day and the moments you want to have a concrete reminder. With all the things that are kept in our heads, we can find relief once we would get it written down on paper. You will no longer feel overwhelmed with all the thoughts that are filling up your head to the brim. 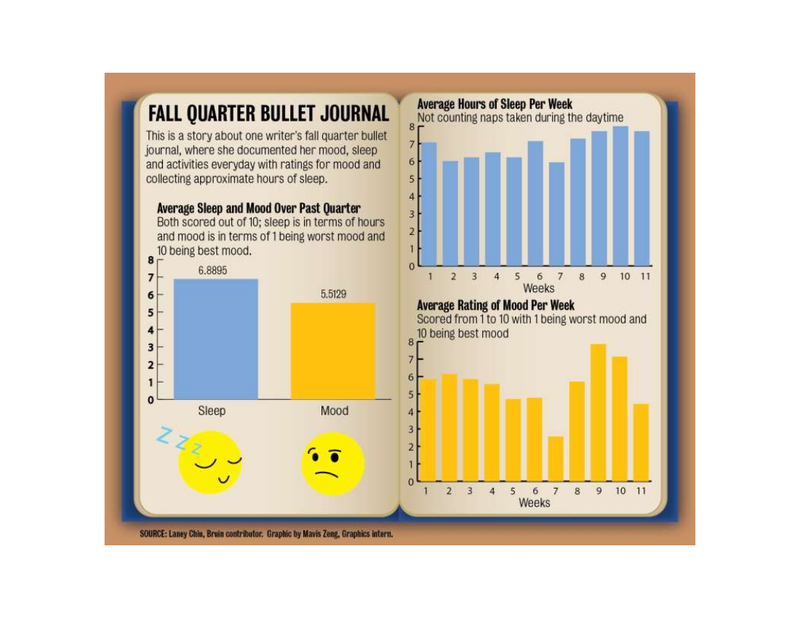 Unlike the typical journals in which you can write down what happened in your day, with a bullet journal, you can do so much more. 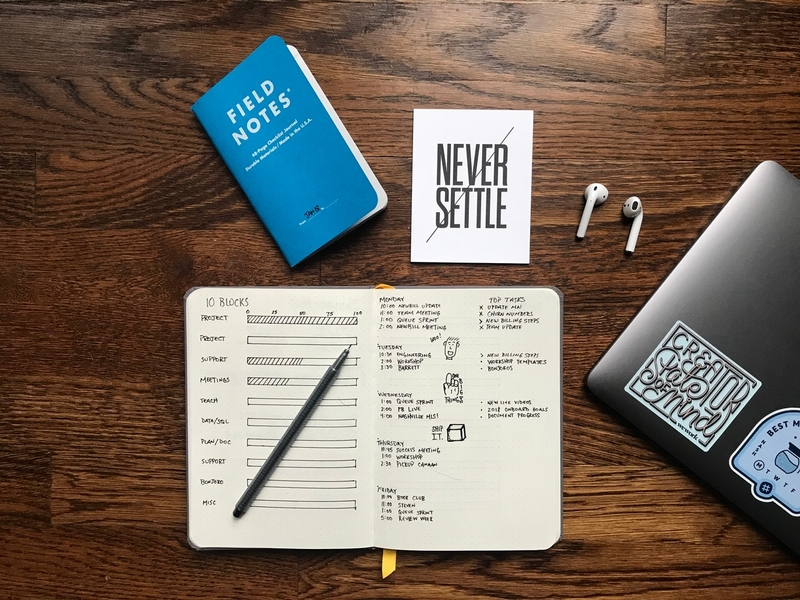 Aside from being able to record your day’s important and memorable moments, you can also make use of a bullet journal to set your goals and list down the things you should do on a daily, weekly, monthly, and even yearly basis. Those people who love stationery, scrapbooking, colorful pens, and journaling. Those people who like to keep a typical journal or a diary but have a difficulty in maintaining one. 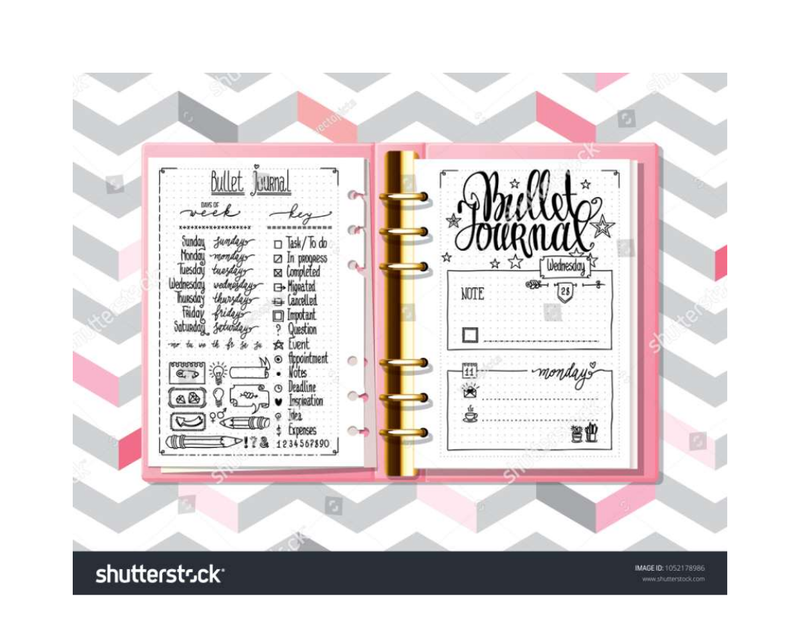 However, keep in mind that none of the aforementioned things above are considered as reasons for liking bullet journals and bullet journaling, but the those who fall under it will definitely be interested in this kind of journaling. You may have noticed across the Internet of bullet journals that look too fancy and complicated with all the details it contains. Change your mind-set toward this and do not put too much pressure on yourself if you are just starting out with bullet journaling. Know that it will take time for you in finding out a bullet journaling flow as well as bullet journal structure that will work best for you. Don’t dive in straight and head first toward getting your bullet journaling optimized because that is just too unrealistic and pressure. Aiming for perfection will not do you any good. Bullet journaling can be considered a creative endeavor and know that any creative endeavor means that you would also have to let go of perfection. Do not choose a fancy and expensive journal. 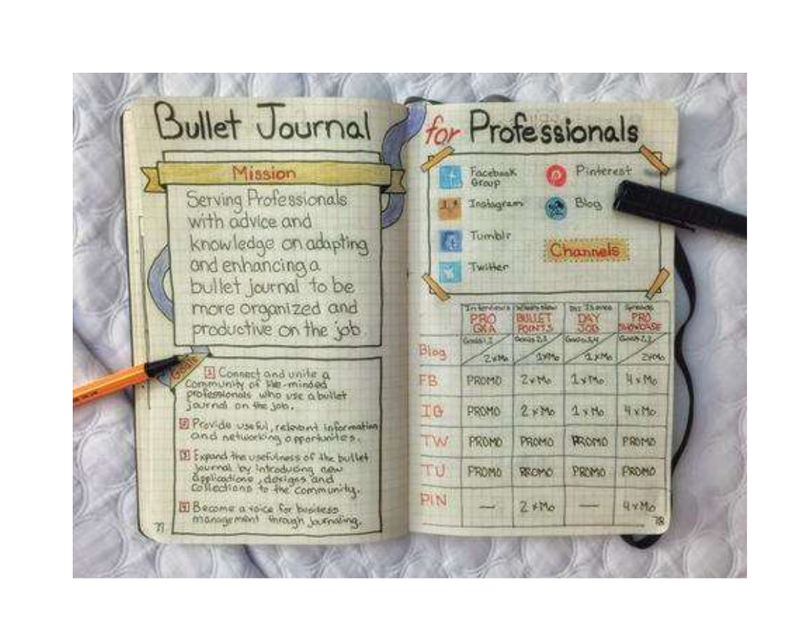 If this is your first time to have a bullet journal, it would be much better if you start with an inexpensive notebook that, in the event when you would commit erasures and mistakes or if it does not simply workout, you would not feel too bad about it and that it wouldn’t be too disheartening to leave that notebook for good. Contrary to what you would always see on the Internet, it is definitely all right if you would choose a cheap notebook if you are only starting. Just make sure that the notebook would contain blank pages or at least lined instead of those notebooks with ready-made sections. As for your writing tools, it is definitely all right if you would start with something as ordinary as a pencil and a black pen since it’s your first time and you might probably commit a lot of mistakes. Having an index page when starting off is like having a backbone, which would serve as the table of contents of your bullet journal. This is where you would refer to finding particular sections, parts, or pages of your bullet journal. 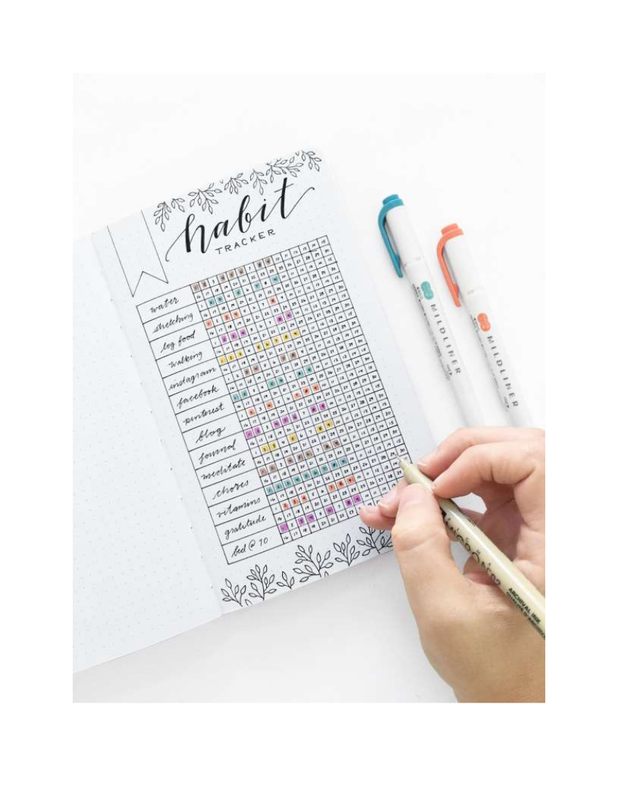 This is also one way of making sure that you have a general area where you will be able to place all of the necessary guidelines or legends of the signifiers to make your bullet journaling easier to follow through. Logs are very important to the bullet journal writing system—it’s like a staple that bullet journals could not exist without. Logs are the place where you will be able to put all of your tasks, ongoing projects, and even all of your short-term or long-term goals. 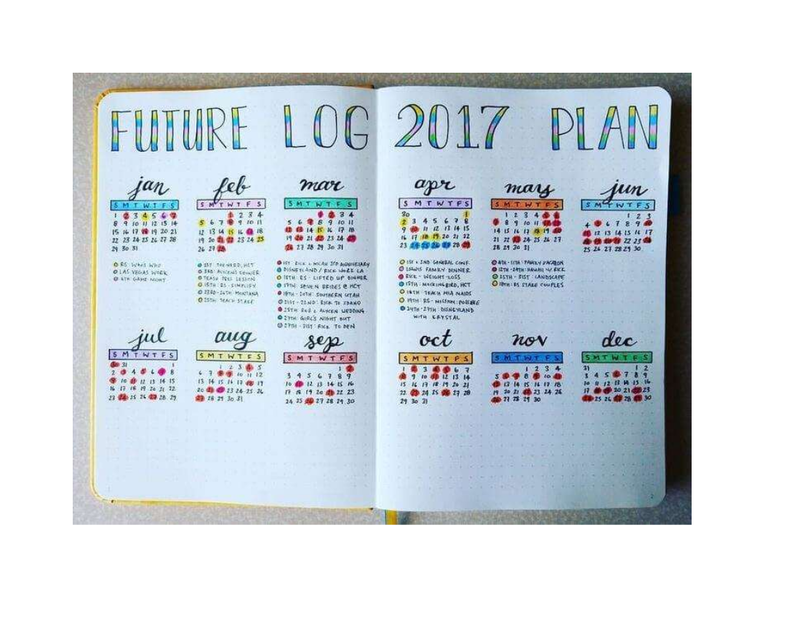 A future log can help you in keeping track of all of the items that are not yet immediate. It could serve as your someday or maybe list that you may or may not be doing some time in the present and any time in the future. A monthly log could include things such as calendars and your goal lists that are categorized for the month. You could even customize each day of the calendar wherein you would have to indicate what goal you will be trying to achieve on that day. A daily log could include your schedule, reminders, things-to-do, and even your daily goals. You could also include checklists, an inspirational quote of the day, and even a blank space where you would be writing all of the musings you have for that day. 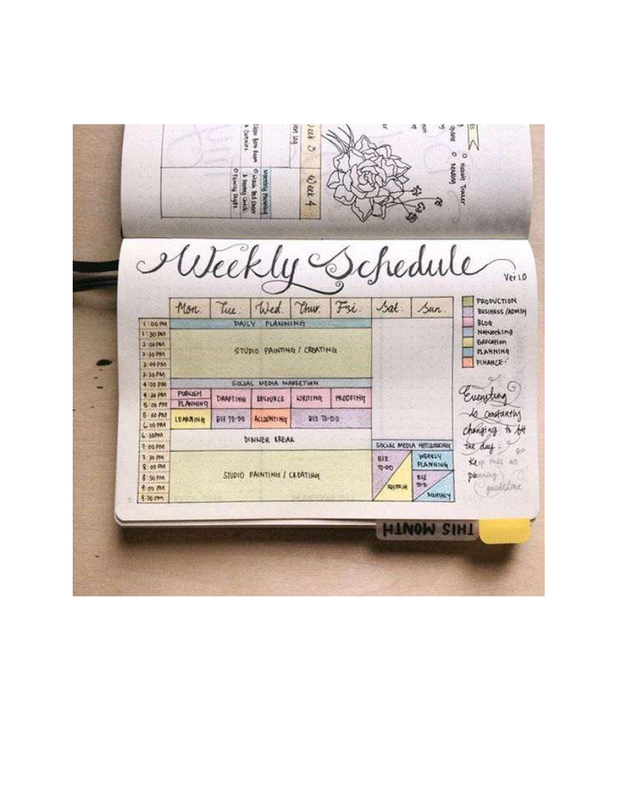 Even if most of the bullet journal you find on the Internet look complicated, simplicity will always be a top tenet of the bullet journal writing system. This is why you should not be worried if you will keep your bullet journal simple and void of all that colorful knick-knacks—just keep your entries brief. Do not arrive at a point where you will not be able to understand your bullet journal or that instead of helping you organize some aspects of your life, your complicated bullet journal would already be causing chaos. Have you noticed little symbols on the bullet journals you have seen online? Those are called signifiers and these are the symbols you use when it comes to denoting the things or the categories in your bullet journal. Do not be afraid to start simple and just use simple and basic symbols such as basic shapes and simple arrows. 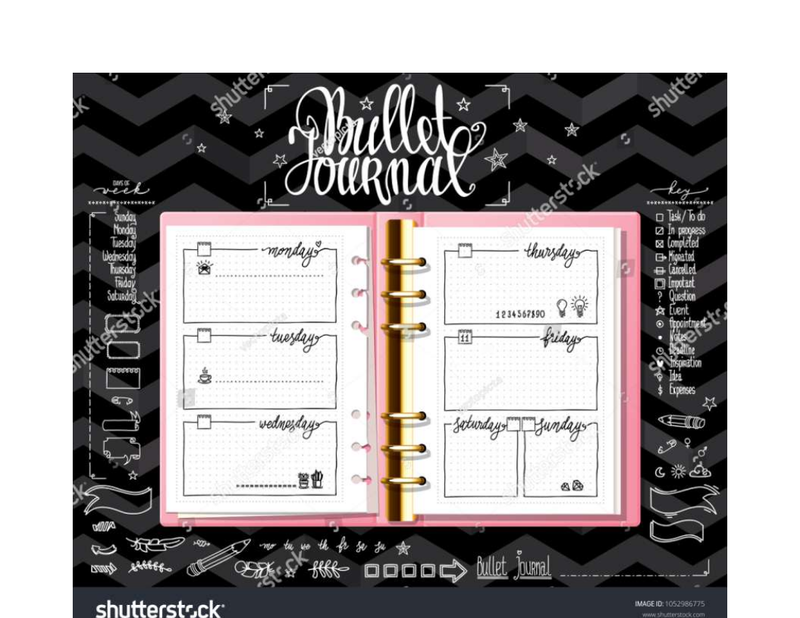 Just make sure that you would customize your signifiers in a way that you want it and also easy for you to follow all throughout your bullet journal. Avoid complicating things and do not be too hard on yourself; you will soon arrive at a point where you will be able to generate signifiers that are more than basic but are comfortable and easy for you to use. Own a blog? You may include a list of blog topics. Do you want to become a published novelist? You may include story premise ideas. Are you an aspiring screenwriter? You may include possible story line ideas. 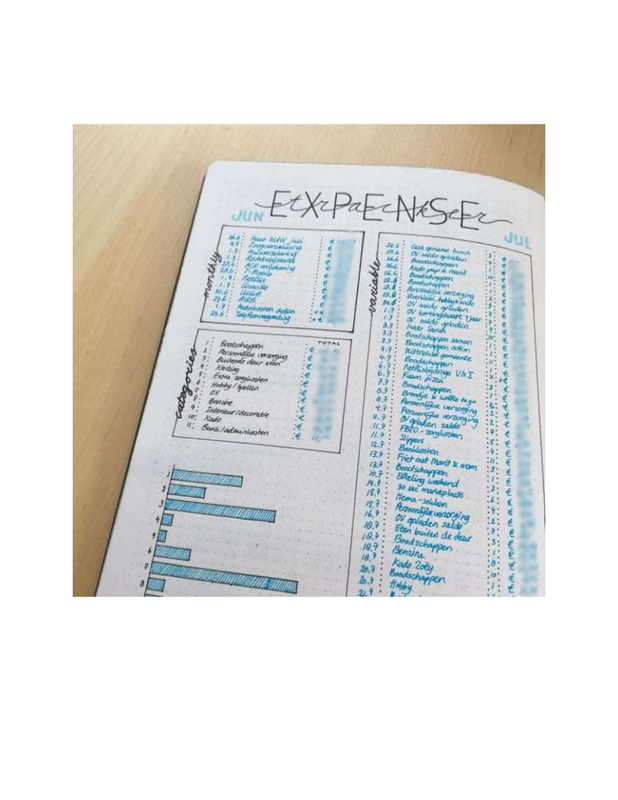 And there are a lot of other collection ideas that you could include on your bullet journal—just make sure that those are the collection you do want to remember and want so that you would not have any difficulty in filling it up. Having set a schedule for your bullet journal is one way of being consistent with your bullet journal writing. Bullet journaling is a productivity method that would only be useful if you would actually put it into action. Make time to fill up or update your bullet journal at the start of your day with things that you want to do within the day, for the next 30 days, or for some time in the future. You should also make time after your day ends to cross off the things that you have already accomplished within the day. You may also make time where you would be conducting a monthly or quarterly review where you would reflect on what you have accomplished so far, transfer some unaccomplished tasks or goals sometime soon, or just list down your latest undertakings. 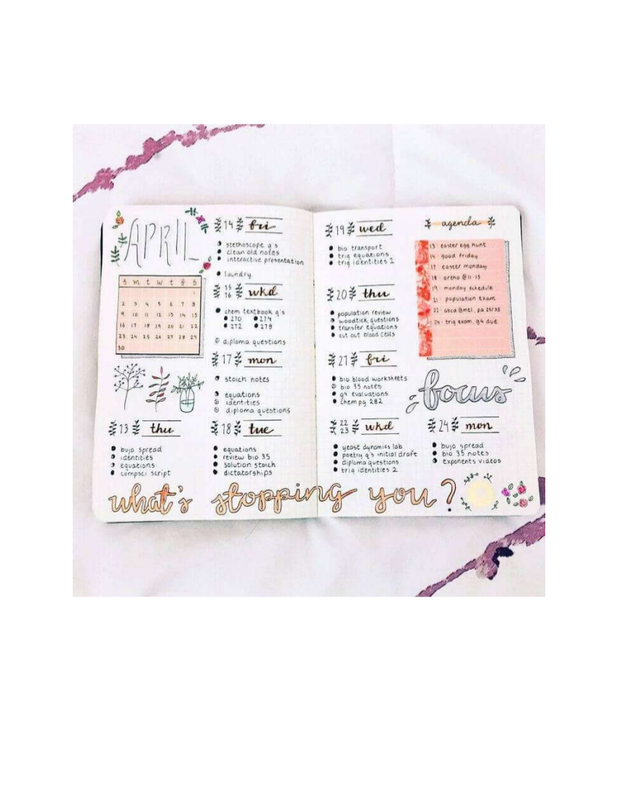 If you would not even follow the goals you set for yourself and do the tasks you are ought to do at a particular time, then even if you have the most creative and organized bullet journal, it would still be pointless. 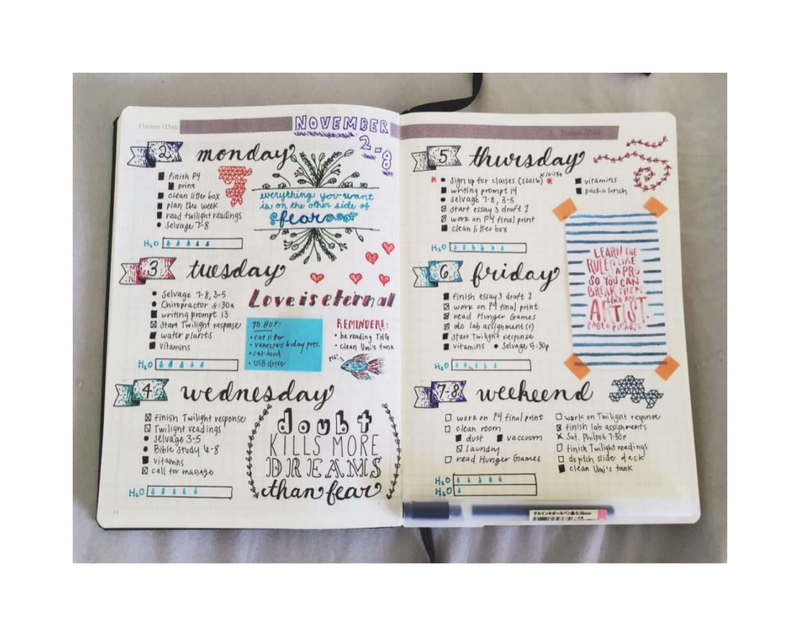 Make your bullet journal your partner when you would be doing all your tasks and reaching all of your goals instead of giving it the task to lead you.